It's no question that this movie's greatest highlight will be its visual effects. The bright vibrant colors help the movie pop in many scenes. The 3D effects work in conjunction with the unique camera angles to provide a lot of depth in many of the scenes. Director Justin Lin does a superb job of adding dynamic camera shots and transitions that complement the sense of danger or adventure depending on the scene. For instance, you'll notice the camera zooming out to show how great a dangerous threat may be. Along with the nice aesthetics, we also get a lighter and more fun tone for this film. Thanks to writer Simon Pegg (who plays "Scotty"), Star Trek Beyond is peppered with many instances of humorous banter and situations throughout the movie. It doesn't make the movie a complete comedy, but it does create more of a enjoyable atmosphere to compliment the sense of adventure. In addition to the humor, we also get some innovative space combat scenes that were entertaining to watch. My biggest compliment of this film is probably the fact that it's going back to its roots in regards to the spirit of the franchise. Star Trek was known more so for the exploration and adventures, and not so much just the action aspect. This time around we're given a slightly better glimpse of what this futuristic universe may encompass along with all of the many different types of aliens that are a part of it. I hate to even say this, but I think my biggest negative in this film was probably Idris Elba's character. (I know, I know....it's THE Idris Elba, but just hear me out.) I don't have a problem with him as an actor, but more so his character specifically. Maybe it was the writing, or maybe it was in his delivery. Either way, his character felt as though it didn't need an actor of Idris' caliber to play. There are scenes when Idris' accent are a little hard to understand. At the end of it all, it ends up appearing as though Idris may be over acting for a role that didn't really require his presence in the first place. My overall impression of Star Trek was that this has definitely become more of a niche, sci-fi type of film. 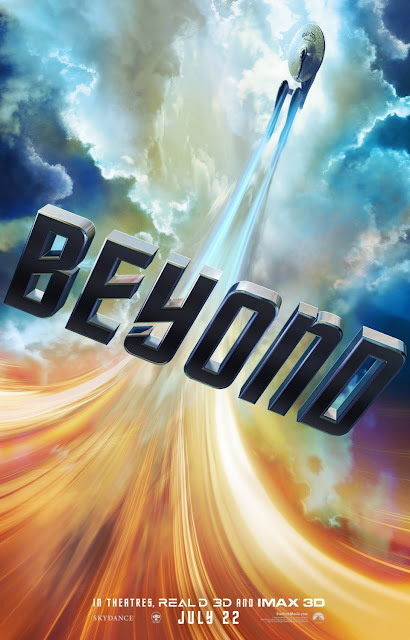 The previous movies felt more like adventure films that happened to be in space, but Star Trek Beyond is definitely more sci-fi in nature than the others. If you were a fan of Battlestar Galactica or similar shows, then this would be your kind of movie for sure. The other point about this film is that it was very safe. It didn't come off as having any incredible peaks nor valleys. 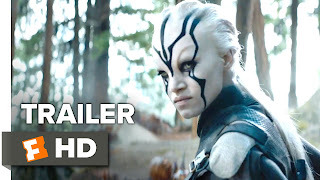 If you were someone who loved the first Star Trek film (of the current remakes), but got turned off by the second one, then this film may rekindle your interest. I would definitely say it's worth the watch in theaters and feel free to watch it in 3D. I don't think that you need to see it in IMAX 3D. If sci-fi movies aren't your thing, well then go in with caution.